The retainer clips are made of good quality plastic,have a good fit,would not break or crack easily during use. 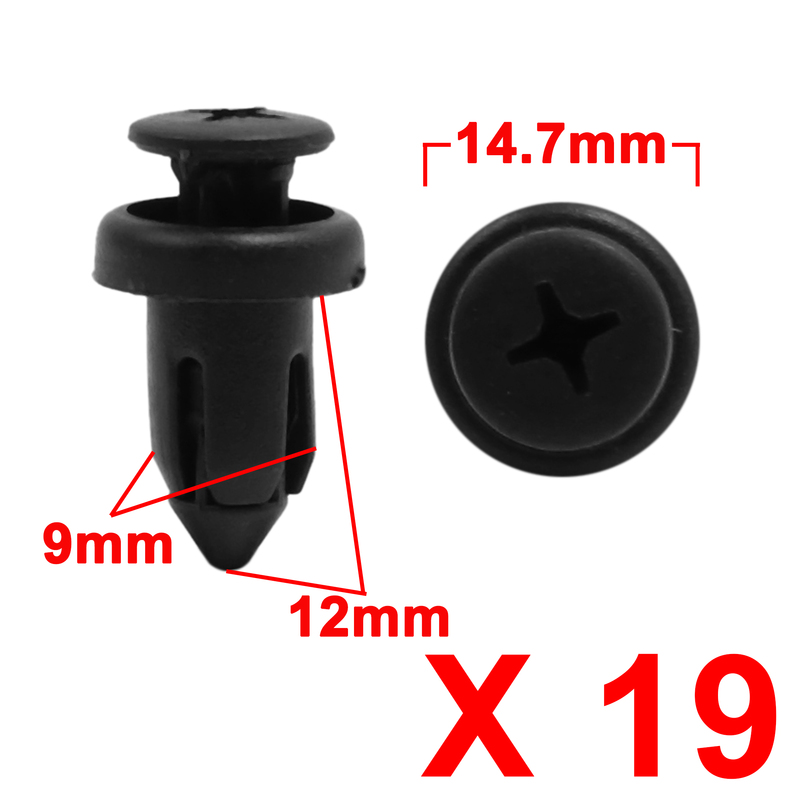 These plastic clips will fit on most of auto parts with 9mm hole,hold your parts very tightly. Very easy to install and remover easier with a rivets remover tool ( tool not included). The plastic clips will be used for holding on radiator yoke,fender,fender flare,bumper, splash shield,retainer,mud flap,grille etc.